XProtect Video Management Software (VMS) by Milestone provides industry-leading surveillance solutions, customized to meet the needs of your organization. Compliant: Milestone xProtect has the features required to make your surveillance system compliant with regulations. We can ensure your compliance when necessary through our ongoing Premier Care management and maintenance programs. Flexible: XProtect’s open platform supports over 6000 camera models and allows for integration with other business applications. 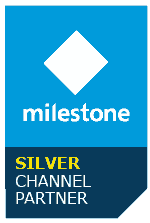 In addition, Milestone offers five licensing tiers, starting with xProtect Essential+ (up to 8 cameras on a single site) at no charge, up to the comprehensive xProtect Corporate. Every package includes Milestone’s cutting-edge VMS software, accessible through their dedicated client, or a desktop or phone. Reliable: Two levels of data encryption and standby server configuration means optimal security and availability. Efficient: Multistage video archiving means more data storage at lower costs. License Plate Recognition: Do you need to get a list of all of the vehicles driving through your property? With the appropriate cameras and modules, Milestone indexes footage and compiles images of all tags captured by the system. Even partial plates are searchable, instantly bringing relevant content front and center. 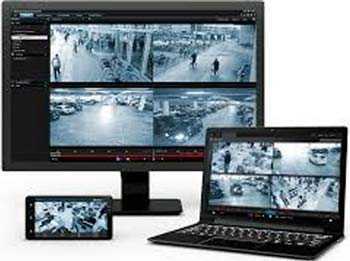 Centralized Management: Simultaneously manage users, cameras, and devices on multiple sites. Video Wall: With Milestone xProtect flexible video wall technology, you can efficiently manage your security and surveillance by bringing it into one pane of glass (or multi-pane wall). These dynamic views can also include website, streaming videos, alarm alerts, and many more elements making this a powerful tool for securing your facilities. Milestone Integration Platform: The Milestone platform allows integration with business management systems. Not only does it send your events into the video system, but also monitors and reacts to events in the Video Management Server. Milestone Integration Platform expands the power of your video surveillance to reach many parts of your organization, giving you the visual insights to better protect your organization and assets. Avid Practice offers fully managed Milestone licenses with regular proactive maintenance and Help Desk Support. Need help choosing or installing cameras? We can take care of that, too. Don’t be in the dark. Want alerts and integration with your applications? Do you want to be able to answer questions and rapidly respond to events?